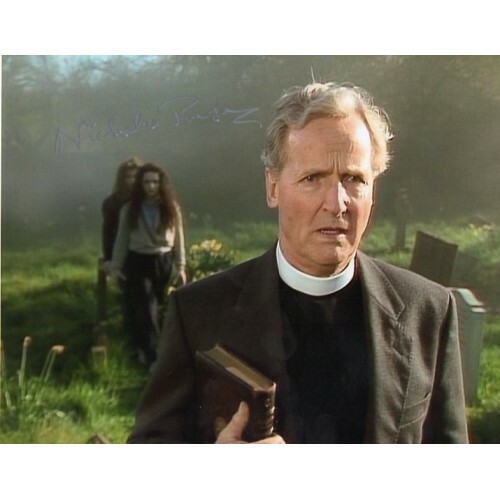 Christopher Nicholas Parsons, CBE (born 10 October 1923) is an English radio and television presenter and actor. His long career in television, radio and theatre has made him a household name and he has been described as "the ultimate quiz show host" because of his "geniality, clarity of diction and the speed with which he rattled through questions". 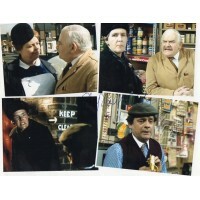 Best known today for his long-standing position as host of the comedy radio game show Just a Minute, Parsons is also famous as the long-term host of Sale of the Century, a show whose audience peaked at over 21 million viewers (a record for an ITV game show). 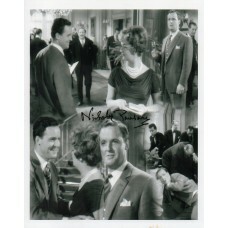 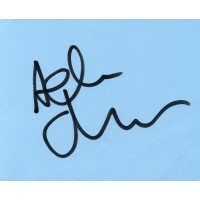 Nicholas Parsons Autograph - Carry On - Signed 10x8 Photo 1 - Handsigned - AFTALChristopher Nicholas Parsons, CBE (born 10 October 1923) is an English..
Nicholas Parsons Autograph - Carry On - Signed 10x8 Photo 2 - Handsigned - AFTALChristopher Nicholas Parsons, CBE (born 10 October 1923) is an English..